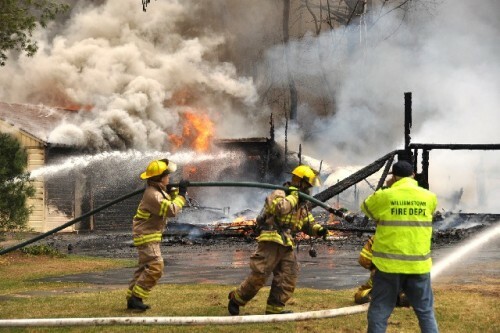 Covering a fire. Images courtesy of Gillian Jones. 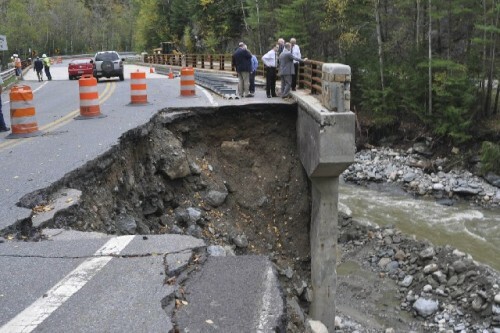 Damage to Route 2 following a hurricane and flooding last fall. 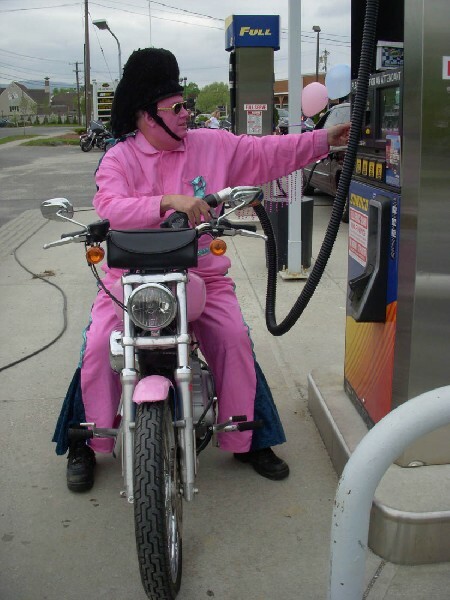 Pink Elvis at the pump. 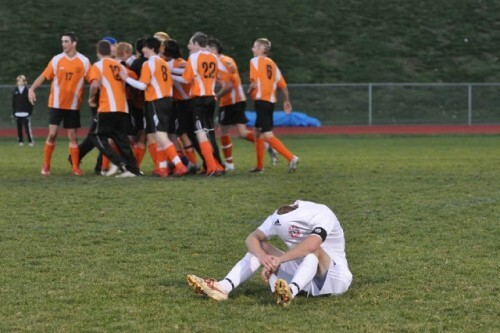 Losing his head over the game. Massachusetts College of Liberal Arts’ (MCLA) Gallery 51 will present “Gillian Jones: Twenty Years of Photojournalism in the Berkshires,” a selection of photographs taken throughout Jones’ 20 years as a photojournalist for the North Adams Transcript. Jones has captured a number of the unique moments that happen in Berkshire County. This exhibition is a survey of her career. There is a reception for the artist on Thursday, May 27, 5-7 p.m.
All of Jones’ photographs in the show will be for sale. Normally, she only owns exclusive rights to her private work. Work for the Transcript is owned by the publication. Through a special arrangement with The Transcript, for this show only, photographs that are purchased will directly benefit the photographer and the Gallery. This show is dedicated to the memory of Fred L. Johns, a professor of biology and photographer who taught photography at MCLA for 30 years. “I owe a lot to Fred. I bought my first camera from him and took classes in photography that he offered at NASC when I was a student. He was a dedicated teacher and he taught me so much. It is an honor to be following in his footsteps teaching photography at MCLA. It is only fitting to honor him with this show,” Jones said. A professional photographer in the Northern Berkshires since 1992, Jones ’91 has taught photography at her alma mater, MCLA, since 2001. Courses that she teaches include an introduction to black and white photography, advanced photography and photojournalism. She also has been an advisor to the College newspaper, The Beacon, since 2009. Her career as a photojournalist began at the Beacon in 1989. She has been the chief photographer of the North Adams Transcript, a daily newspaper, since 1992. She has operated a wedding photography business since 1995, and does freelance work for area businesses and publications across the nation. In addition to her daily photographs in the North Adams Transcript, she her work has been published in the Berkshire Eagle, The Advocate, The Bennington Banner, Boston Phoenix, as well as nationally through the Associated Press, The Globe and Yankee Magazine. For many years, she wrote a weekly column in the North Adams Transcript and has written dozens of news stories. 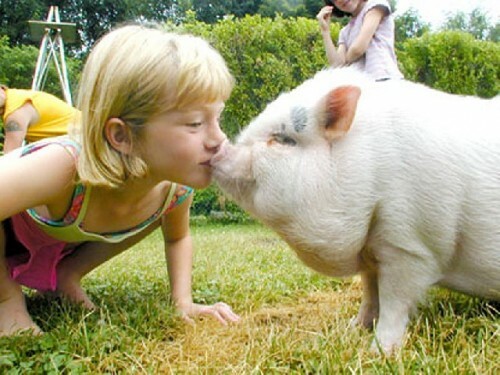 She has also traveled across the continental United States and abroad to France, Italy, Spain, Morocco and Mexico. Her work has been exhibited at MCLA, the Heritage State Park Gallery, the Adams Town Hall Gallery, North Adams Regional Hospital, and various restaurants as well as area businesses. Born in Queens, N.Y., Jones grew up on Long Island before moving to the Berkshires with her family in 1982. She graduated from Mt. Greylock Regional High School in Williamstown in 1987. She earned a Bachelor of Arts degree in English/communications with a concentration in journalism and a minor in philosophy from MCLA, in 1991. “Gillian Jones: Twenty Years of Photojournalism in the Berkshires” runs through June 24. MCLA Gallery 51, a program of MCLA’s Berkshire Cultural Resource Center, is open daily, 10 a.m. to 6 p.m. For more information, call the Gallery at 413-664-8718 or go to www.mcla.edu/gallery51 .